We weren’t sure where we were going to end up by the end of the day. The initial aiming point was Kaikoura, 400km (4hr50m) drive away as whale/dolphin watching can be done there and we thought we might do that tomorrow morning. 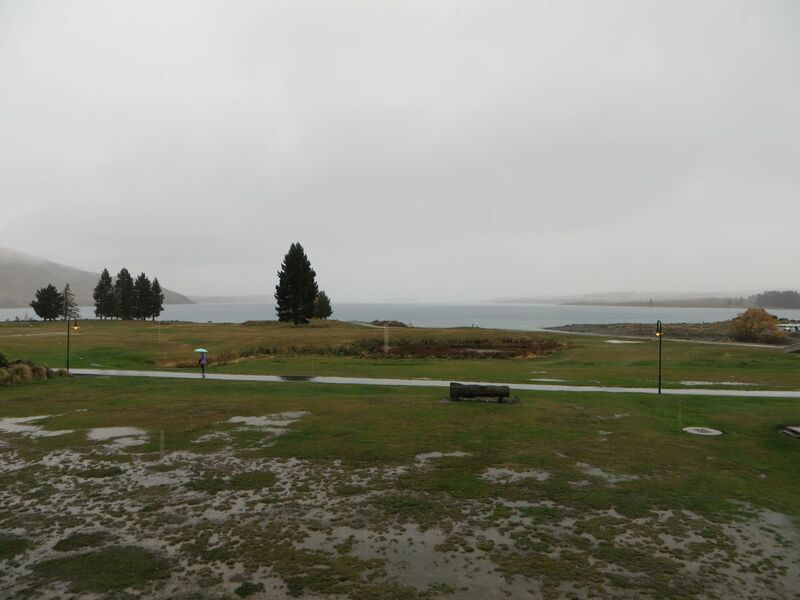 The view of Lake Tekapo in the morning – very wet. There was light snow low down on the hills. 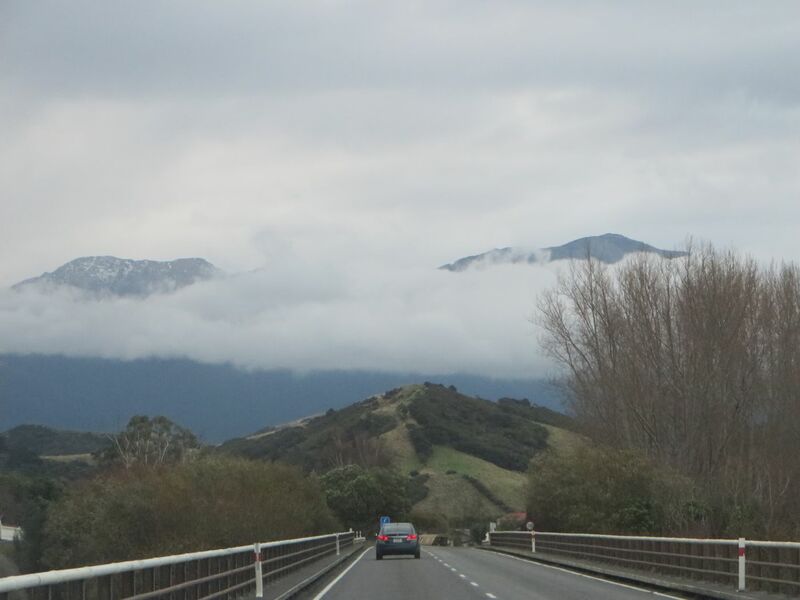 During the drive north – low cloud and some hill snow. The weather was absolutely terrible. Torrential rain made driving difficult for hours. I mentioned terrible driving yesterday, well today we saw a small truck drive left off the road into a power poll and glance off it, leaving the cables swinging wildly above. The driver just kept going! Ashburton had water almost across the whole road. The news next day said how badly affected Christchurch was – it keeps flooding; apparently the ground was shifted down by the earthquake and the drains were also affected and so Christchurch keeps being hit by flooding when it rains. 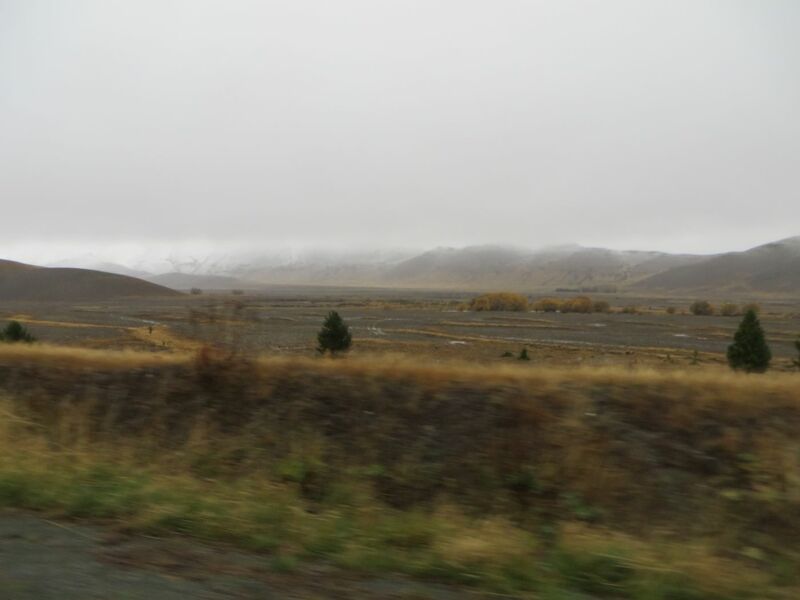 We stopped at Christchurch to get fuel and a sandwich and soon after we stopped at Waipara Hills Winery café for a coffee. A lovely setting although as it was still raining we had to sit inside. This is the view approaching Kaikoura. 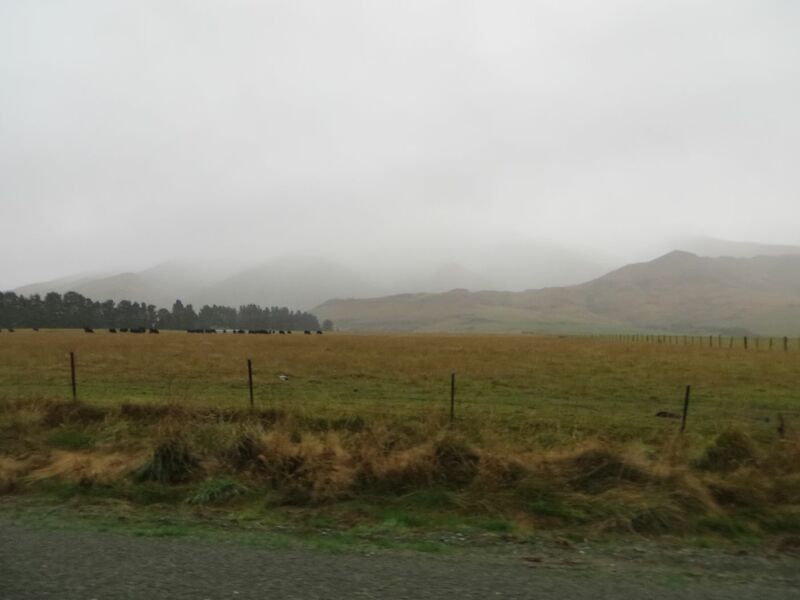 The rain had started to clear – it was forecast to hit Kaikoura later. 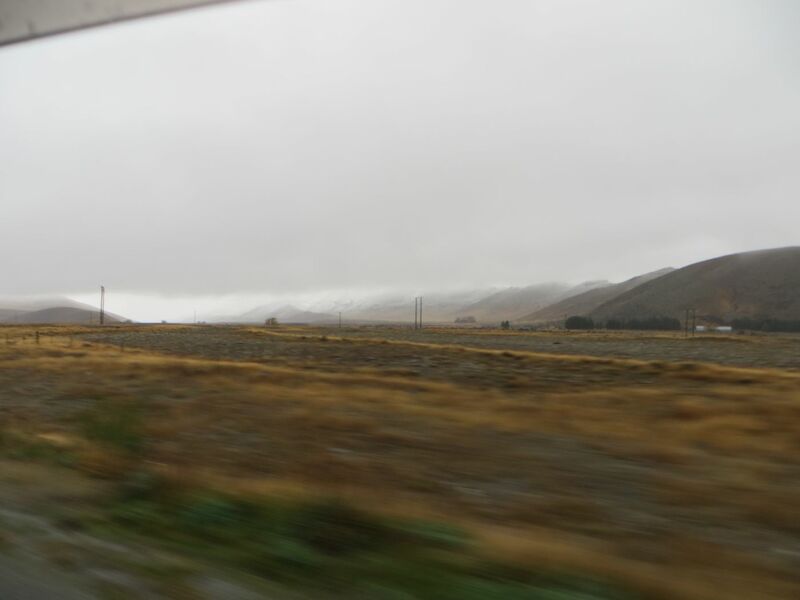 Due to the weather we decided to drive on to Blenheim to make it easier catching the ferry from Picton next day. We got to Blenheim, found a motel, booked a ferry for 11am in the morning and then found some dinner. We had driven 530km, 6hr20m today.